The Mount Pavilion is set to host another great selection of free half term creative activities for children and families this half term courtesy of LeftCoast. The programme has been specially created to delight and excite with everything from tiny technology to puppetry and everything in between. The programme kicks off on Saturday 13 February from 1-4pm with actor and theatre maker Lawrence Speck with a puppetry skills workshop where kids can explore basic techniques such as breath, voice and movement before creating a short performance. Book folding is the order of the day on Sunday 14 February from 1-4pm with a special workshop helping you recycle those old books and turn them into magical creations. Whether the kids want a fairy house or a space rocket there is no limit to what can be created with a tatty paperback. Michiko Fujii takes over The Mount on Monday 15 February from 1-4pm with a pop-up art and paper folding workshop. Michiko will come with a plenty of paper based ideas and ways to play and construct with paper to help you create your very own pop-up world to take home. Comic book creations will take over on Tuesday 16 February from 1-4pm with cartoonist Marc Jackson. In the workshop kids can chat about comics and the characters that they love before getting down to business making their very own cartoons. Ian Douglas will transform the pavilion into a magical storytelling space on Wednesday 17 February from 1-4pm. Promising to bring an experience full of magic, mayhem, making and madness this is a tale telling adventure for all the family, not to be missed. Things get strictly urban on Thursday 18 February from 1-4pm with Skool of Street giving kids a chance to get creative expressing their dance moves. Focusing on urban theatre, drama and hip hop dance, this workshop will get you ready to hit the streets. Back by popular demand technologist Les Pounder brings a RaspberryPi minicomputer workshop to The Mount on Friday 19 February from 1-4pm. In the workshop Les will be joined by Connor Ballard-Pateman who is a member of the RaspberryPi Foundation’s Creative Technologists programme and they’ll be using special paint with the RaspberryPi to create a piece of interactive art. 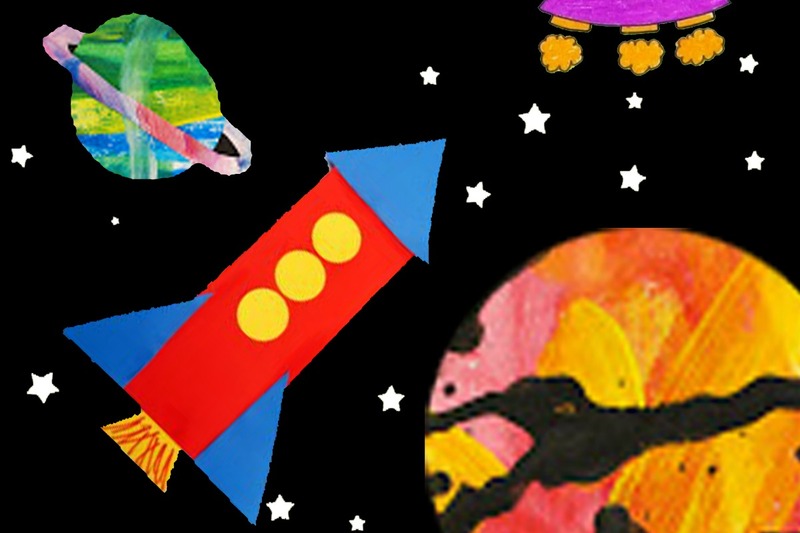 Kids are invited to explore out of space with a family craft activity that is out of this world on Saturday 20 February from 1-4pm with Sarah Hicks. The session will be fun and creative giving you the chance to make rockets, UFOs, aliens and much more besides.